More than 50 families who claim to have lost more than $400,000 in down payments have contacted the Dallas County District Attorney's office. Francisco Grimaldo thought he’d found his dream home. “Everybody got a dream to have a house,” the father of four told WFAA. Grimaldo made $13,500 in down payments. He spent thousands more remodeling it. Ramona Gomez also thought she’d found her dream home. She said her father gave her his life savings to put down a down payment of $15,500 in 2015. Gomez also claimed to make tens of thousands in improvements. “I wouldn’t give them $15,000 if I knew the house wasn’t going to be mine,” Gomez said. 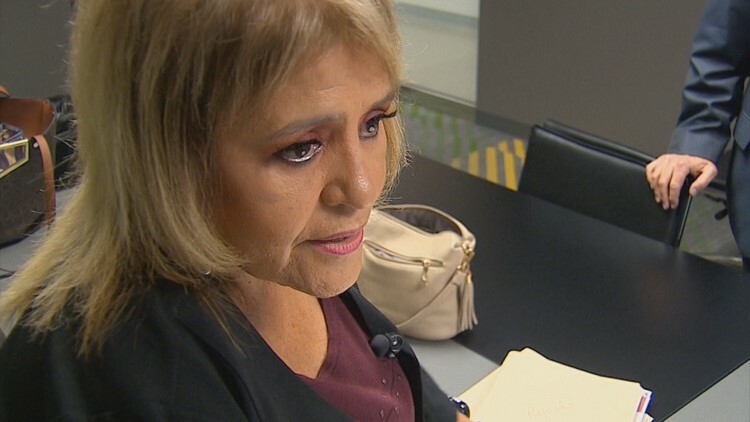 Grimaldo and Gomez are among the dozens of North Texas Latino families who claim they were misled into believing they were on track to one day own their homes. Many signed what’s called option-to-purchase agreements, and they made down payments to lock in the purchase price. In other cases, families signed leases that they say they thought were purchase agreements. 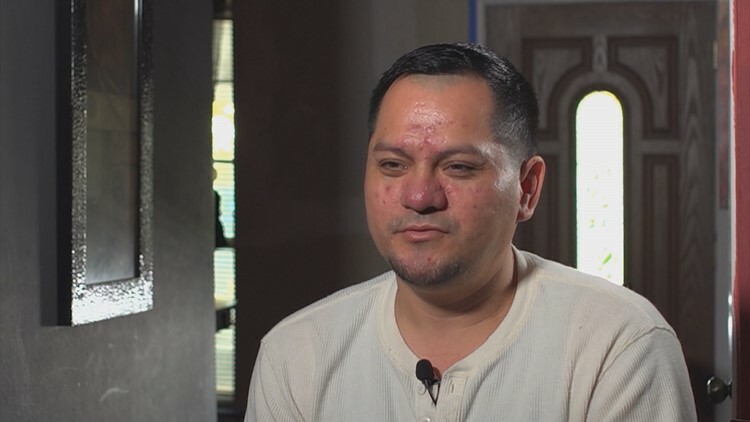 After WFAA began asking questions, the landlord for Grimaldo, Gomez and four other families agreed to enter into owner-finance arrangements with them, meaning they will finally be home buyers. Dozens of other families still face uncertainty. Attorneys have alleged the families were defrauded. Many of the families have limited English skills, and lack a knowledge of real estate law. Various families told WFAA they were misled into believing that they would receive owner financing. “It was all an illusion where these folks were chasing a false promise or dream,” Vaught said. More than 50 families who claim to have lost more than $400,000 in down payments have contacted the Dallas County District Attorney’s office. Prosecutors have launched a criminal investigation. Families blame the property owners. And some, at least initially, blamed a woman named Pauline Coronado. The families said Coronado brokered the deals. Coronado has denied any wrongdoing. She said she merely acted as a go-between for the property owners and the families. “The idea was to give people who may not have been able to get financing through traditional means a path to home ownership. “They had good jobs. They made good money, so we thought: ‘OK, this is a good way for them to buy a home,’” she said. Gomez and Grimaldo both say they believed the property owner, Mohamed Khaleel, would, from the beginning, owner-finance their homes. “I started asking him: ‘When are we going to the title company?’” Gomez said. For their part, Khaleel and another property owner point the finger at broker Pauline Coronado. They claim she had families sign purchase contracts without their knowledge. Khaleel denied any wrongdoing in a complaint to the Dallas County District Attorney against Coronado. Coronado, however, said Khaleel wasn’t telling the truth. 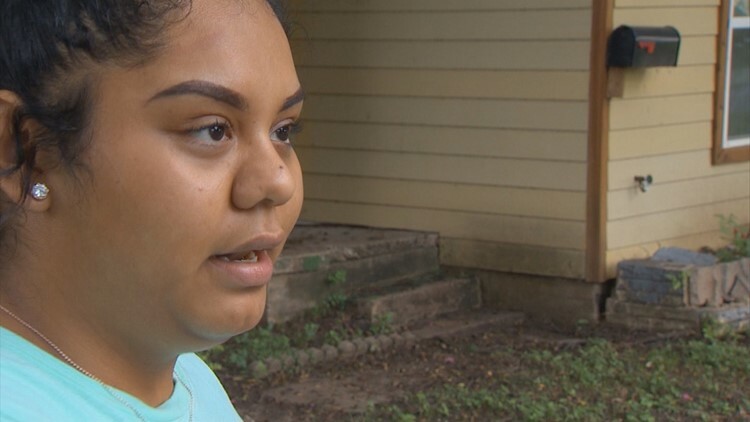 She provided WFAA a copy of a cashier’s check for $5,500 made out to Khaleel for what she said was part of the down payment made by Grimaldo. WFAA caught up with Khaleel at a recent eviction hearing. He declined to comment on the advice of the attorney who was with him. On Wednesday, Khaleel took a different tack. Not only did he agreed to owner-finance the purchase of the homes for Grimaldo and Gomez, and four other families, but also gave them credit towards the purchase price of the home for any prior down payments, and any upgrades and repairs to the homes. Under the terms of the new agreement, a certified appraiser selected by the families will assess the market value of the home. In all, the six families made about $80,000 in down payments, and up to $150,000 in improvements, according to their attorney. 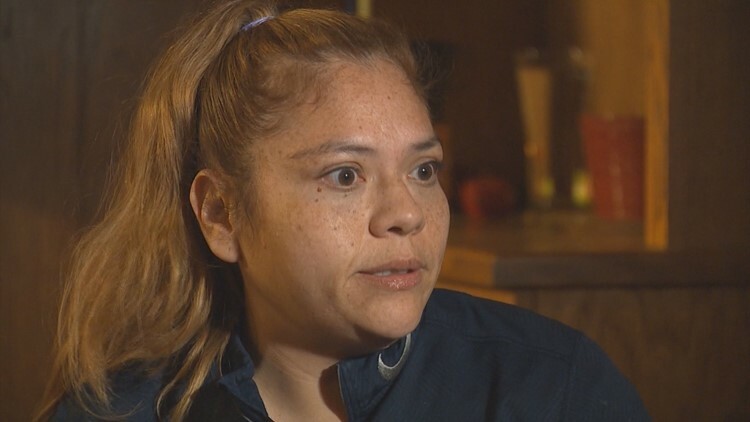 In another part of Dallas County, the Martinez family thought they were leasing to own a home. They paid a $27,000 down payment to buy the house for $70,000. The lease they signed in December 2014 stated that the home was in a livable condition. The lease agreements, however, contradict the reality, said Mary Ellen Smith, an attorney representing the family. The home was in such disrepair that it was uninhabitable, she said. Smith said the family spent another $61,000 on remodeling so they could one day live in it. The family has never spent one night in the home, Smith said. “They were simply taking her money, getting their house fixed, to them go sell to someone else,” she said. Nick Hockman, who says he is the owner of the Martinez’s house, declined an on-camera interview. He told WFAA that – much like Khaleel’s initial claims – he was misled by Coronado. He claims she pocketed the down payment after forging his name on the purchase agreement. “It appears that she’s misled people, or they misunderstood, and I think there’s a combination,” Hockman told WFAA. He distanced himself from Coronado, calling her an independent agent. He said he never paid her any money. He said he sent out letters a year ago instructing his tenants not to give any money to Coronado. Hockman did acknowledge to WFAA about having discussions with the Martinez family about buying the home. He said they told him they wanted to do repairs before getting a loan on the home. Hockman said he could not have owner financed at least some of the homes because he himself has loans on the properties, he said. Hockman told WFAA that he has had several option-to-purchase agreements that did result in families being able to buy the home. Coronado disputed Hockman’s claims. She said she used to collect rent and down payments for him, and then regularly met at his office to give him the money. She said money from down payments for homes was to be given to him in cash. She also showed WFAA text messages from Hockman discussing possible purchase prices of homes, and copies of rent checks she dropped off at his home. For her part, Coronado said she wants to make things right. She says she has refunded more than $40,000 to various families. She vows, if needed, to testify in court against Hockman to help the Martinez family. State law strictly regulates residential lease-option agreements that are longer than 180 days. The law puts the burden on the seller to ensure that strict requirements are followed. Violations can result in having to return all payments made by the buyer, including monthly payments. It can also result in liability under the Detective Trade Practices Act, which mean in damages being tripled, plus attorney’s fees. Chandler reviewed several of the contracts for WFAA and saw big flaws. 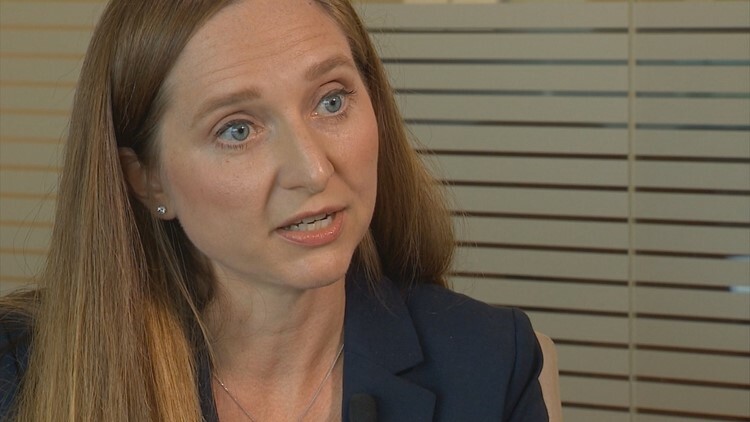 She said some of the agreements appear to be illegal on their face because they state that the down payments could be lost being late on the rent. “If you look at just the language of the contracts, it’s clear that there was no attorney involved in drafting them,” Chandler said.